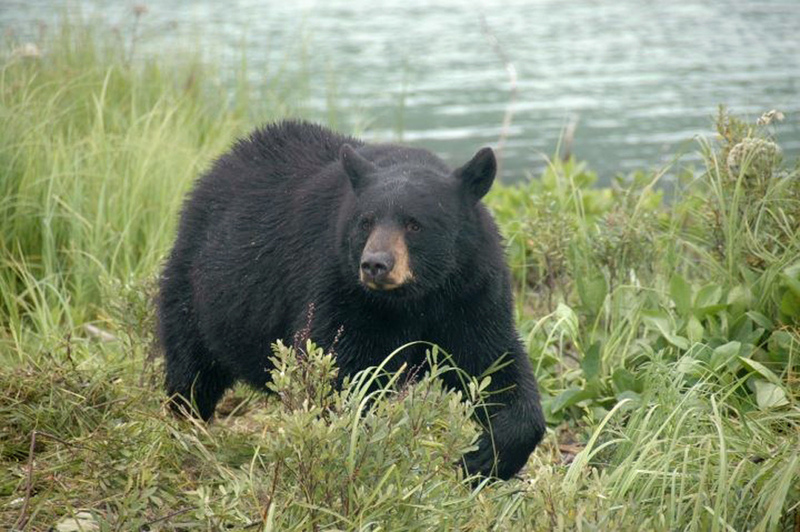 We believe everyone would love to see bears in their own environment, especially if they knew how safe they would be. 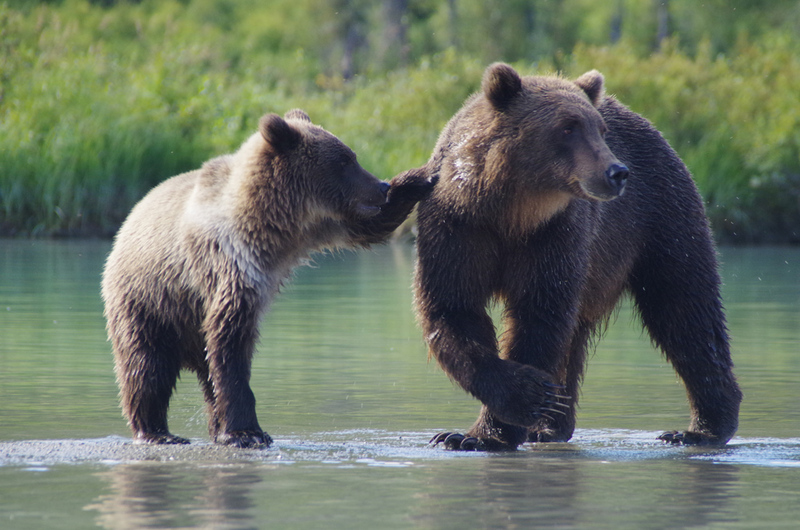 That’s why, before we book you on one of our Alaska bear viewing tours, we ask our guests a couple questions to help choose which tour to send them on. Here are a few of the questions we ask so when you call in you will know what to expect. 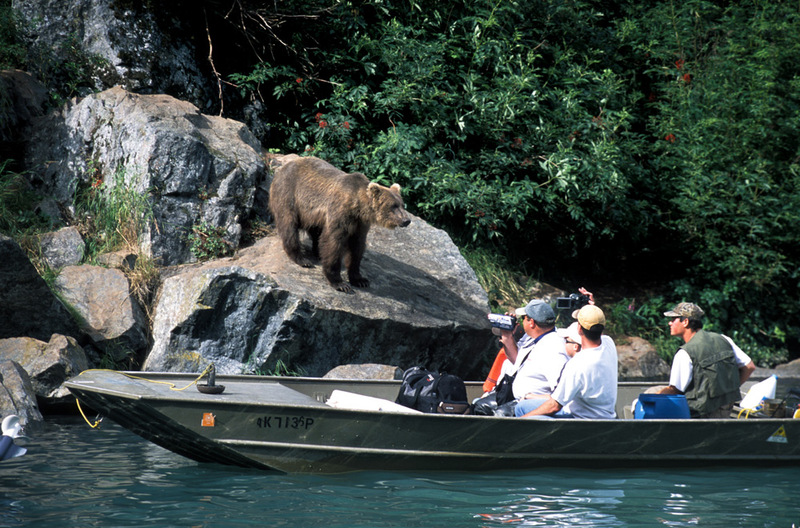 * Do you want to fish while watching bears? 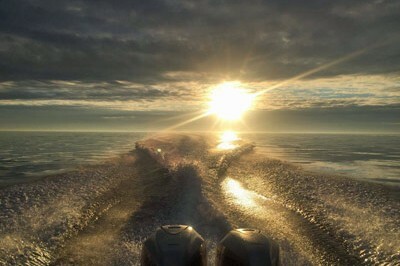 * Do you want to fly or boat across the Cook-Inlet? * How close would you like to get? * Do you want to be guided or do it on your own? Is price a factor? 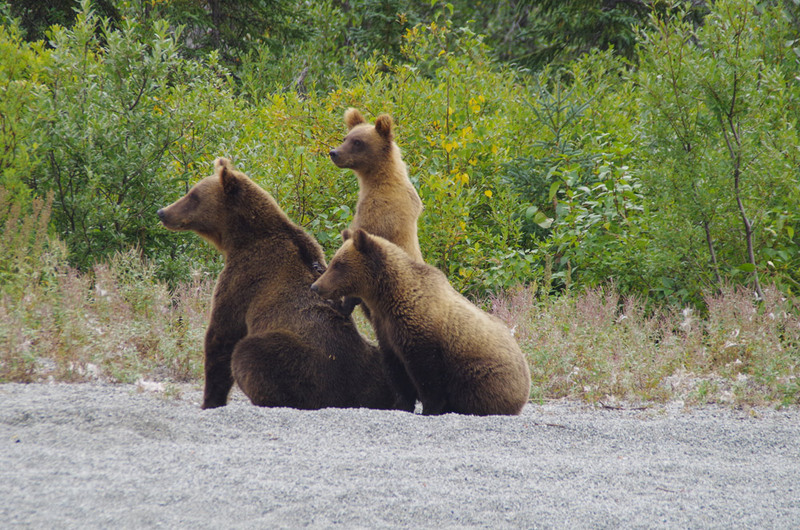 Here are a few of our best Alaska bear viewing tours to pick from. 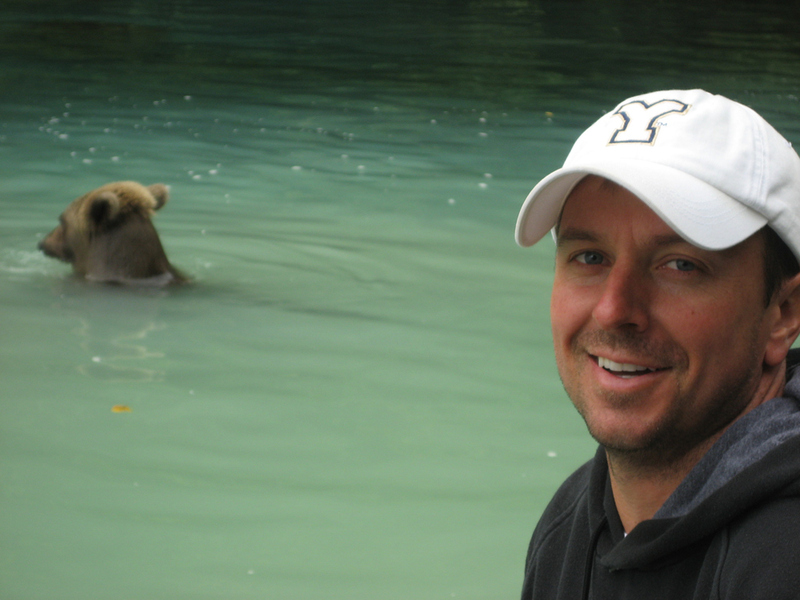 Choose the best bear watching tour option for you based on what your comfort level is, and what month you will be here. 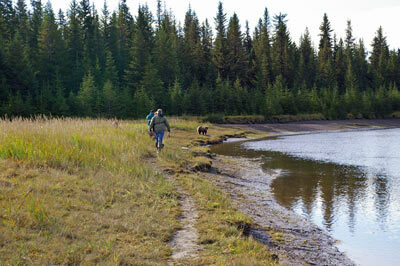 There are a few places that you can walk-in to see bears on your own from June through July. 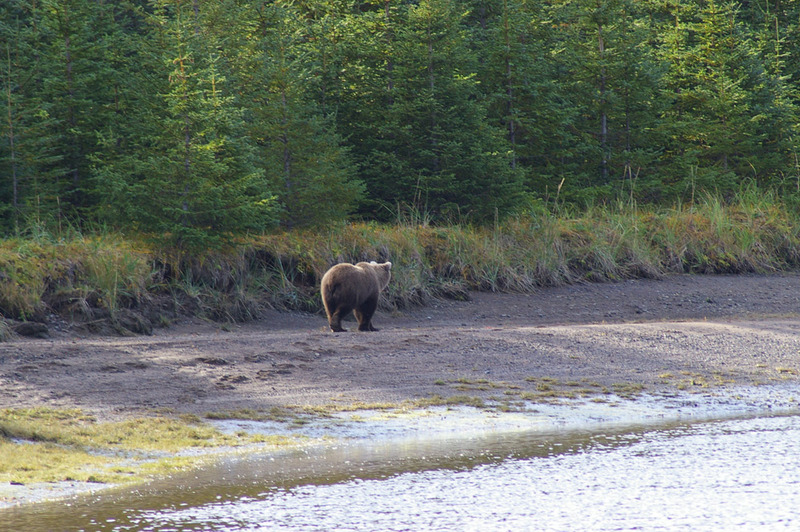 When I have taken guests to these places on our Alaska bear viewing tours where we have seen most of the bears in the early evening. 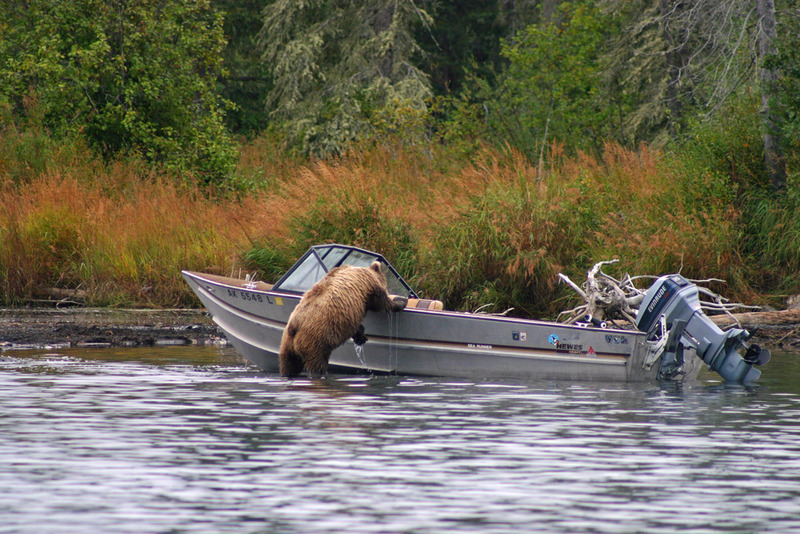 Just remember, the bears are there trying to fatten up on the rich salmon for winter. 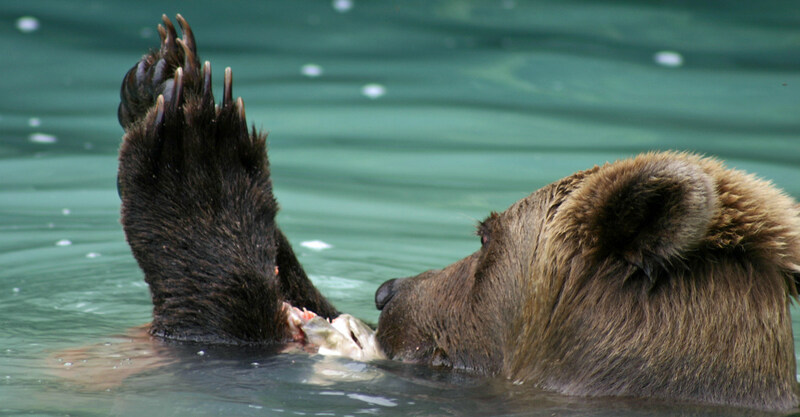 Don’t get between a mama bear and her cubs, or bear and salmon. Both will make for a bad day. Your best bet is to bring a camera with good zoom lens. That will save you from having to get too close. 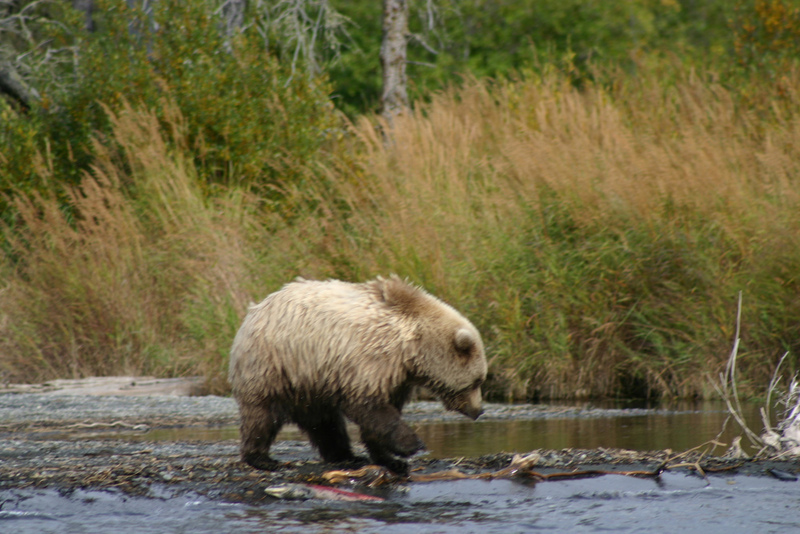 Our most popular Alaska bear viewing tours are fly out trips over to the west-side of cook-Inlet which take place June 12th to the middle of July. This adventure starts when you climb into the float plane for a 30 minute flight across the Cook Inlet to Wolverine Creek. 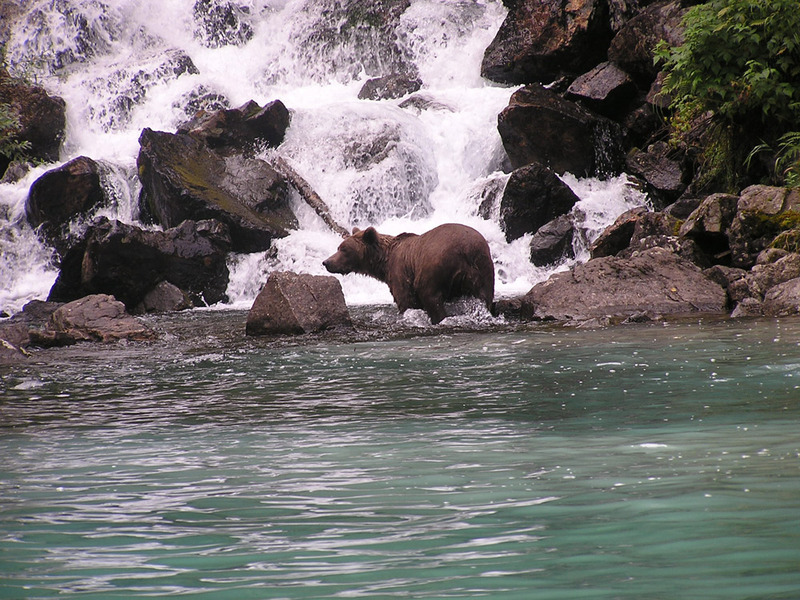 There you will share a fishing hole with bears as they jump off the rocks, or mama bears as they teach their cubs how to chase down a sockeye salmon, showing you how fishing is really done. 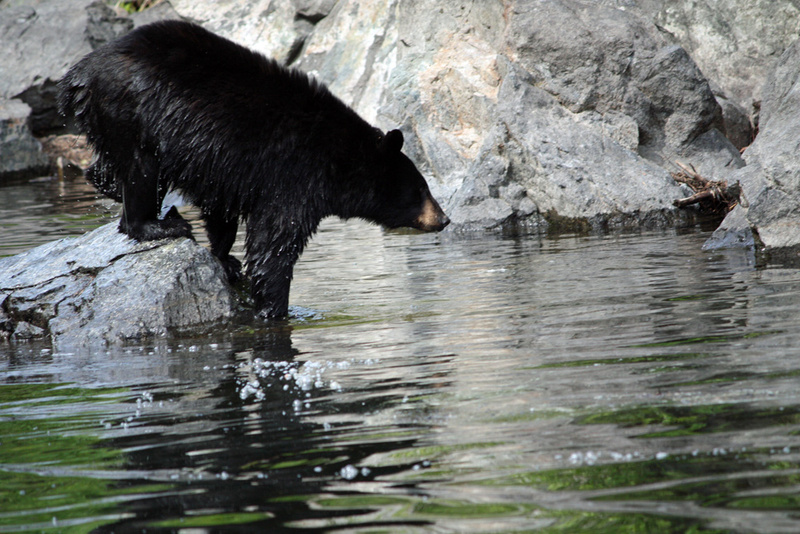 We have gotten so close to the bears that we could see the water dripping from their fur. 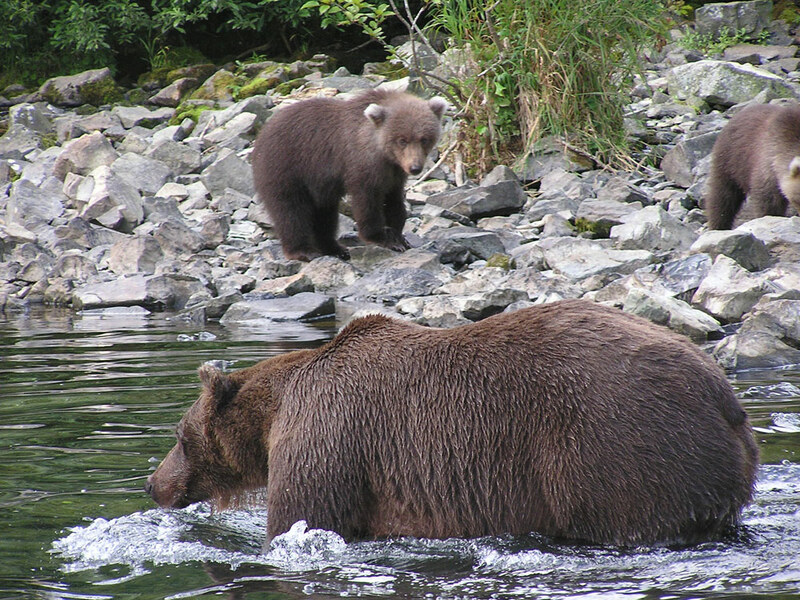 The end of July starts silver salmon fishing with bears at Big River Lakes and Silver Salmon Creek. 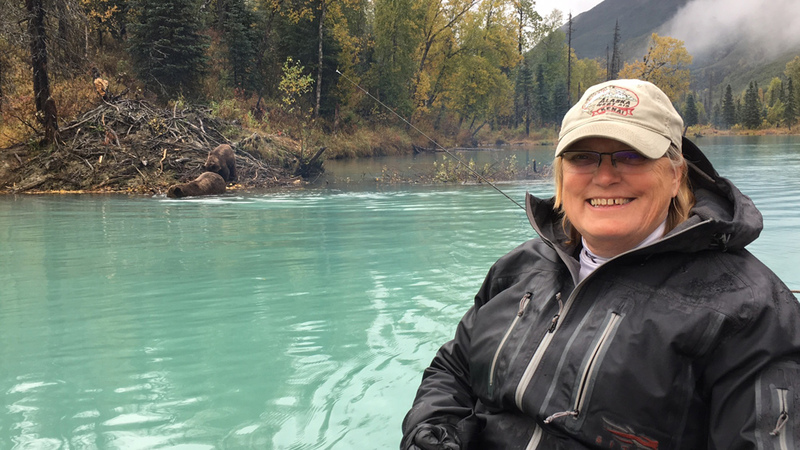 if you would like to see where the bears are fishing and have our guides take you to the best fishing hole, then call Tyland and book one of these fishing and Alaska bear viewing tours. 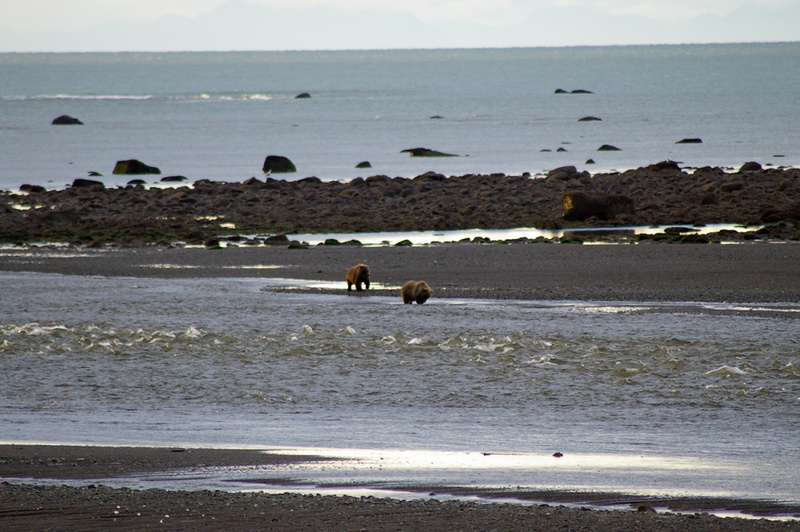 On our bear viewing tours to Chinitna Bay from Anchor Point, we will travel about an hour and half by boat across Cook Inlet, landing on one of several beaches in Lake Clark National Park. 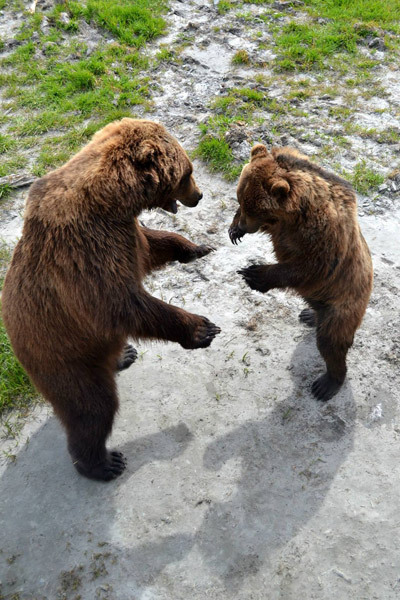 We then walk to the area to view the bears in their natural environment as they feed on clams, run and play on the beach, and, if its your lucky day, you will get to see two bears standing up play fighting. While on the boat ride across, the scenery along the coast is breathtaking. 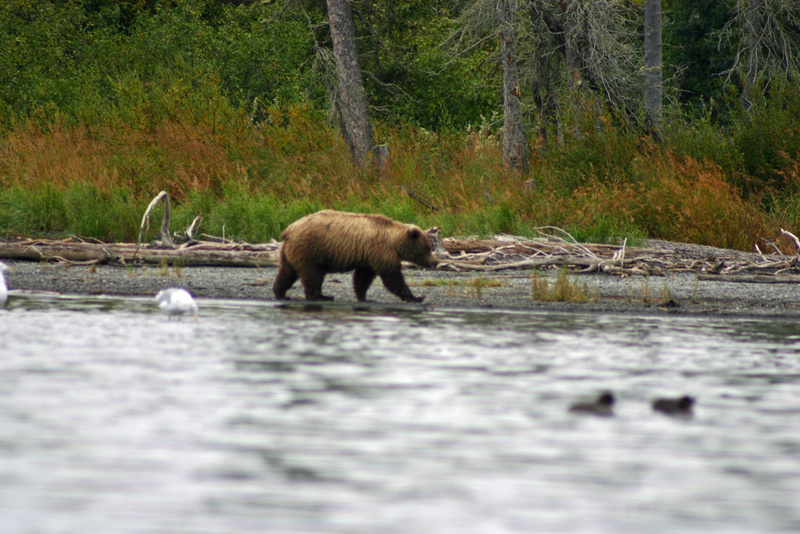 On most days you can see glaciers, volcanoes, whales, sea otters, puffins, sea birds, bald eagles, and of course, bears. 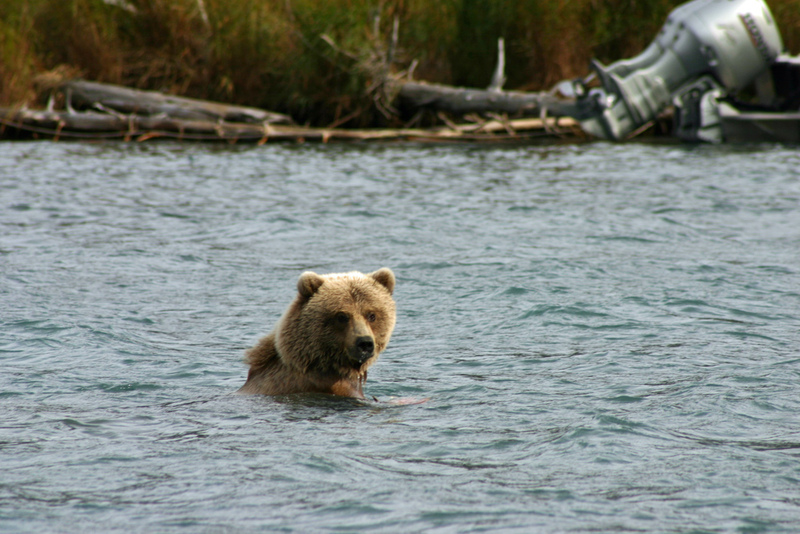 Lake Clark National Park is one of the best places in the world to view Alaska brown bears. 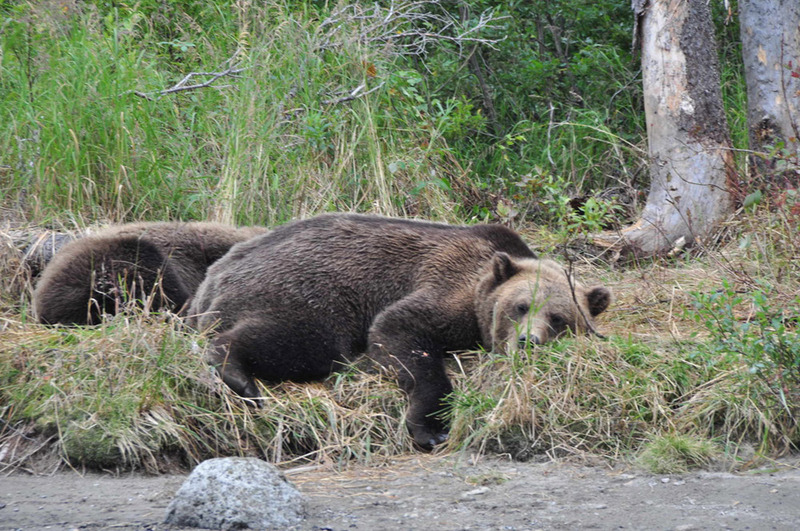 Most days we will see over a dozen bears doing what they like to do. 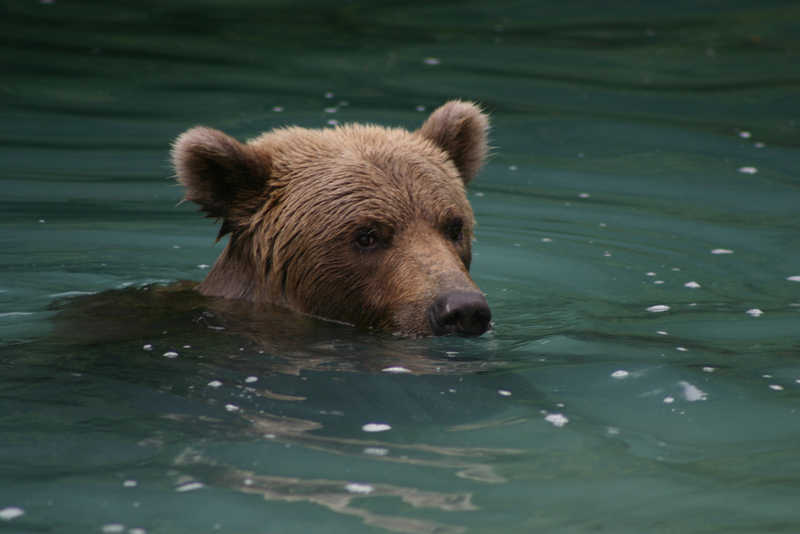 Alaska has 80% of the United States brown bears. 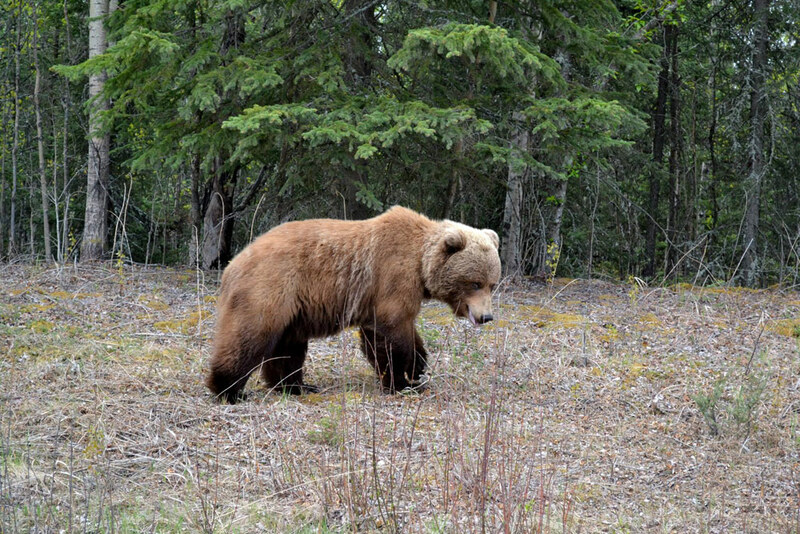 The population of brown bears in Lake Clark National Park is ten times greater than the brown bear population in Denali National Park. 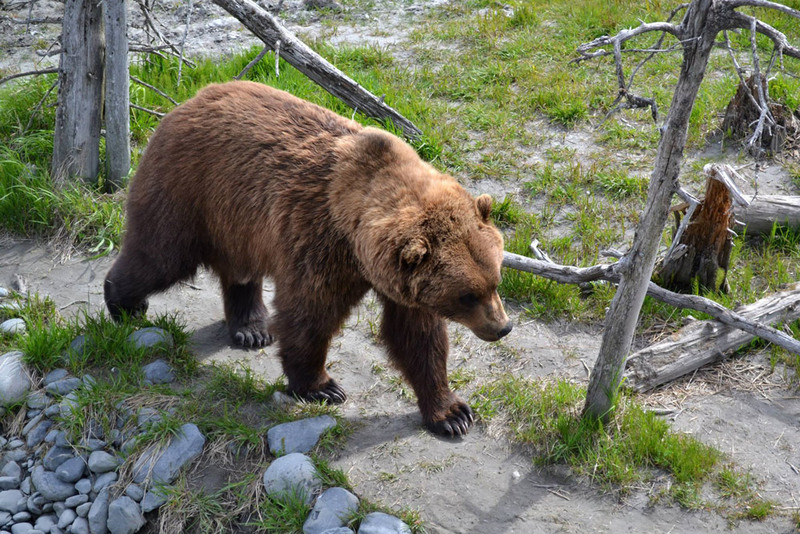 Since the weather is warmer, a large number of brown bears gather on the coastal beaches because that is the best food sources for clams, sedge grass, and salmon. 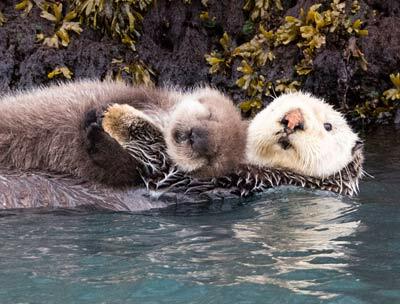 If the Cook inlet is smooth like glass, the skies let you see the massive volcanos, and the sea life is stirring, you will get some great pictures. Then when get across to the beaches and you take so many picture of bears, your think to yourself, “I hope I brought enough camera cards.” So grab a loved one, your best camera, and come make a memory of a lifetime! Check with Tyland if you don’t have something before your trip, we don’t want you to be uncomfortable while on your trip. 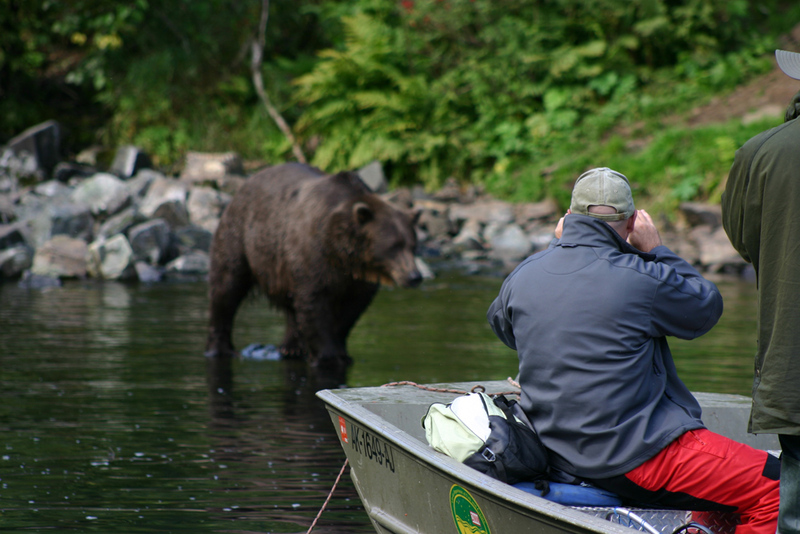 Call today and lets talk Alaska bear viewing!